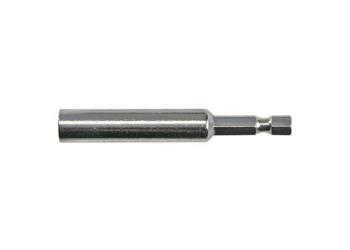 BIT HOLDER MAG 1/4" X 3"
48-32-3065 - BIT HOLDER MAG 1/4" X 3"
Where quick insert bit changes are necessary, just pop them in/ pull them out with this snap ring and magnetic retention system. No need to unscrew the cap as with the 48-32-3025 Bit Holder. Three inches in length. Fits any power or cordless screwdriver.